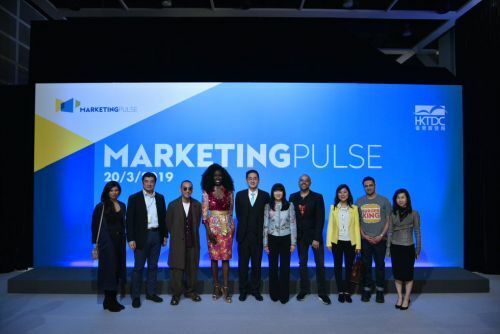 HONG KONG, Mar, 20 2019 - (ACN Newswire) - Organised by the Hong Kong Trade Development Council (HKTDC), the second edition of MarketingPulse, Asia's premier conference for marketers and brands, was held today (20 March) at the Hong Kong Convention and Exhibition Centre. This year's conference invited more than 50 globally renowned marketing executives, advertising gurus and digital marketing experts from nine countries and regions to examine brand promotion strategies, share success stories and offer practical marketing insights. More than 1,400 corporate executives, marketing and advertising agency as well as brand representatives attended the annual signature industry event. The day featured an array of thematic seminars, workshops and dialogue sessions exploring topics such as innovative brand management, ground-breaking brand campaigns, the influence of Mainland China's Generation Z, esports marketing, influencer promotion tactics, the social value of brands, and the latest digital marketing strategies. Margaret Fong, HKTDC Executive Director, said: "As Asia's trendsetter and creative capital, Hong Kong's extraordinary allure has attracted many top marketers, brand managers and advertisers to the city. Marketing practices are constantly shifting. To stand out, brands must accurately identify market trends and leverage the latest marketing technologies to create impactful brand stories." The opening remarks at the conference were delivered by Bernard Chan, Under Secretary for Commerce and Economic Development of the Hong Kong Special Administrative Region. The first seminar of the morning, "Dear Brands, Let's Sail to the Future! ", showcased a heavyweight panel of speakers who shared their "secret sauce" for developing successful brand stories. Featured speakers were Bozoma Saint John, Chief Marketing Officer of Endeavor, a global leader in entertainment, sports and fashion; Marcelo Pascoa, Head of Global Brand Marketing at Burger King; Jonathan Mildenhall, co-founder and CEO of TwentyFirstCenturyBrand (and former Chief Marketing Officer of Airbnb); Keiei Sho, Executive Officer, General Manager of Overseas Business Division at Calbee, Inc; Michelle Cordeiro Grant, founder and CEO of LIVELY; and Hong Kong's own creative guru, Juno Mak, Creator of Kudos Films Ltd.
Bozoma Saint John was once named as one of the 50 Most Creative People by Ad Age and is regarded as one of the most prominent marketing and pop-culture icons in the United States today. Prior to joining Endeavor, Ms Saint John headed the marketing efforts of major corporations such as Uber, Apple Music and PepsiCo, where she created multiple trailblazing promotional campaigns that successfully enhanced the image of these brands. Burger King shocked the world in 2017 when it rolled out a 15-second advertisement that made clever use of Google's smart assistant. The advertisement quickly went viral around the world and earned the company a Grand Prix award at the Cannes Lions International Festival, an event widely regarded as the Oscars of the advertising industry. During the seminar, Marcelo Pascoa, the company's Head of Global Brand Marketing, said that creative work can make the world a better and more interesting place. Calbee, the ever-popular Japanese snacks brand, caused a sensation in 2017 when it launched a limited-edition series of potato chips that featured 47 flavours, each of which was based on specialities from the 47 Japanese prefectures. At this session, the company's Executive Officer Keiei Sho talked openly about the creativity and wisdom behind Calbee's marketing strategies. Members of the so-called "Generation Z" in Mainland China are highly active on social media platforms. They also have a penchant for distinctive personal styles and possess strong consumer power. A seminar at MarketingPulse spotlighted the marketing strategies aimed at Generation Z in the mainland, with panellists sharing the key to winning the hearts and minds of this unique demographic. The speakers included Jude Chan, Head of Digital & Innovation of Zenith China, Publicis Groupe; Fu Peng, Director of International Business Department of JiangXiaoBai; Li Hui, Partner of Shanghai Yitiao Network Technology Co Ltd; and Fu Yudong, General Manager of South China Marketing Centre, Ocean Engine. With esports currently taking the world by storm, it is estimated that the number of participants and spectators for the activity could reach 500 million worldwide by 2020. There are massive business opportunities still waiting to be tapped in this fast-developing sector. At the "eSports: The 'Next Big Thing' in Marketing" seminar, representatives from ESL Gaming Pte Ltd, AirAsia, Emperor Esports Stars and The Story Mob discussed different ways to get in on the action. In addition to focusing on brand stories and marketing strategies, MarketingPulse also explored the digital transformation that is reshaping the industry and the challenges brought about by new technologies and new business models. The "Agencies in the Era of Transformation" session gathered several top minds from the advertising industry to share their creative processes for transforming brands and examine the future role of advertising agencies. Joining the panel were Angie Wong, Managing Director of Leo Burnett Shanghai; Shuhei Tsuji, Creative Director of TBWA\HAKUHODO; Nuntawat (Golf) Chaipornkaew, Founder and Creative Director of NAWIN Consultant; and Jam Wu, Creative Director of J Walter Thompson Hong Kong. Another seminar, "Social Branding - Growing Customer Loyalty & A Better World", invited top brand executives and PR experts from McDonald's China, the Strategic Public Relations Group, Edelman and the AIA Group to examine different ways to combine brand values and social responsibility and to enhance a brand's influence and customers' affinity with a brand. At the "Data: New Currency for All (Consumers & Brands)" session, Andy Ann, founder and CEO of the NDN Group, and Derek Kwok, Head of Google Marketing Platform, Greater China & Korea at Google, shared the ways in which new technological tools can facilitate marketing efforts. The "Have Your Say!" session featured a panel of speakers that included Lok Chi Hou (Sixtycents), founder and CEO of Manner Culture Ltd, a company that boasts more than four million fans on its social media platforms; Vincent Tsui, founder and CEO of Toast Communications Limited; Richard Juan, Filipino TV star and online personality, model, actor and host; and a group of young Hong Kong marketers. The panellists spoke with the novice marketers about the business opportunities - and the challenges - that popular culture presents for marketing. New at this year's MarketingPulse were the Digital Marketing Workshops that presented participants with practical marketing strategies. 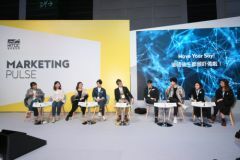 Marketing representatives from highly regarded international brands such as Google, Baidu, LinkedIn, Cloudbreakr, 360 Search and iClick discussed a range of topics that included video and search engine marketing, influencer marketing, digital marketing trends in Mainland China and the establishment of personal brands. 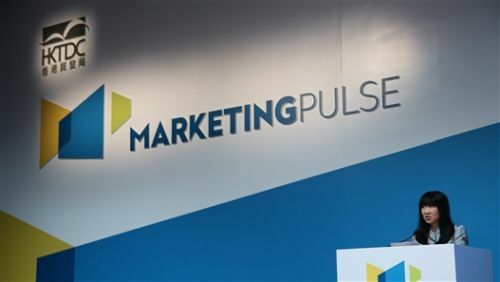 MarketingPulse featured an Exhibition Zone that showcased 36 companies engaged in digital marketing strategies, tech-driven advertising and marketing solutions, video production, e-commerce, project management and public relations strategies. In addition, an on-site, one-on-one business-matching service was offered for brands and exhibiting marketing agencies to explore collaboration opportunities. 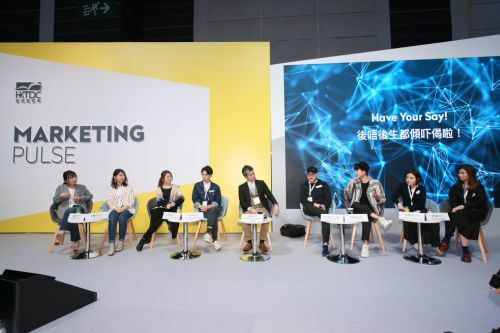 The HKTDC also organised a variety of networking events for brand and marketing representatives to exchange intelligence and forge collaborations. This year's MarketingPulse was supported by leading marketing industry organisations, including the Association of Accredited Advertising Agencies of Hong Kong, the Hong Kong Advertisers Association, the Hong Kong Association of Interactive Marketing, IAB Hong Kong powered by HKDMA, the Hong Kong Public Relations Professionals' Association, the HKMA Digital Marketing Community, and Public Relations Hong Kong. In her welcome remarks at the second edition of MarketingPulse, organised by the HKTDC, Margaret Fong, HKTDC Executive Director, said that as Asia's trendsetter and creative capital, Hong Kong has attracted many top marketers, brand managers and advertisers. The heavyweight line-up of speakers at the first seminar included Michelle Cordeiro Grant, founder and CEO, LIVELY (1st L); Keiei Sho, Executive Officer, General Manager of Overseas Business Division, Calbee, Inc (2nd L); Juno Mak, Creator, Kudos Films Ltd. (3rd L); Bozoma Saint John, Chief Marketing Officer, Endeavor (4th L); Jonathan Mildenhall, co-founder & CEO, TwentyFirstCenturyBrand (4th from R) and Marcelo Pascoa, Head of Global Brand Marketing, Burger King (2nd R). At the "Have Your Say!" session, marketing experts spoke with newcomers to the industry about the business opportunities and the challenges presented by popular culture. Taking part in the discussion were Lok Chi Hou (Sixtycents), founder and CEO of Manner Culture Ltd (4th from R); Vincent Tsui, founder and CEO of Toast Communications Limited (5th from L); Richard Juan, Filipino TV and online personality, model, actor and host (3rd from R; and a group of young Hong Kong marketers.